When travelling on Thai, passengers are transported to a galaxy of infinite amusement and entertainment. A state-of-the-art Audio Visual On Demand (AVOD) touch screen offers virtually unlimited access to movies, information, music and gaming channels. Passengers also enjoy communications device connectivity and PC power points. To keep the youngest passengers amused during international or domestic flights a range of toys, games and books are available for children. There are various toys and games to choose from for children of all ages: under 3 years, 3 to 6 years, and 6 to 12 years of age. 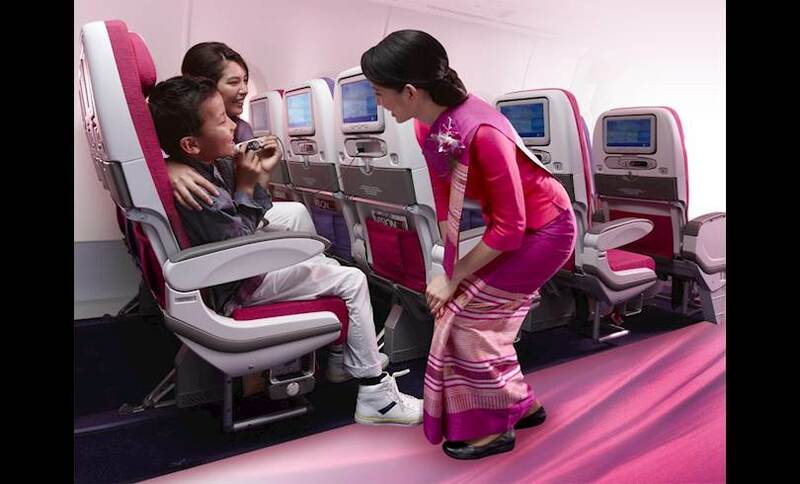 Thai cabin crews are specially trained to help with small children during the flight, but such service comes naturally to all Thais, who love children with devotion.